Home Events & HolidaysSMUSHY HALLOWEEN MAKEUP IDEA INSPIRATIONS…..
HALLOWEEN is round the corner , the day of fun & floric . PEOPLE dress in different types & also dress up like some superhero. ANY dress is incomplete without the makeup & so to put a proper makeup on is an important aspect of the dressing . 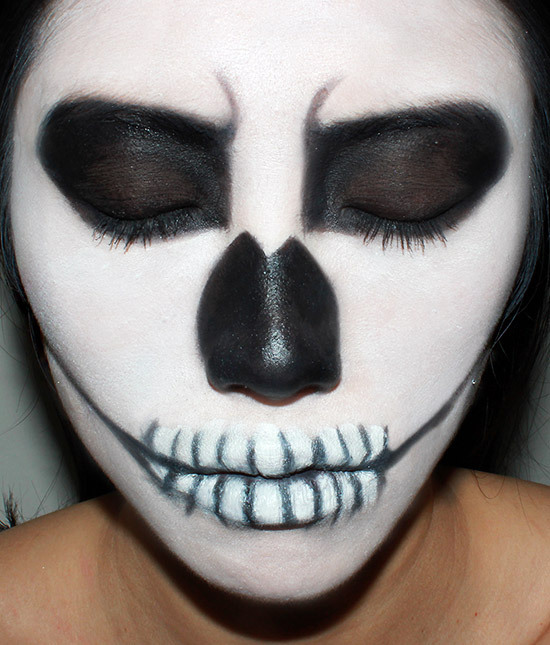 GENERALLY halloween makeup are very loud and scary , black is used in a larger portion in the halloween makeup . BUT nowadays smushy look too is preffered by womens . IT has many colours in it & gives a haunted look to it. I personally like the smushy look . HAVE A GLANCE AT SOME HORRIFYING SMUSHY MAKEUP INSPIRATIONS…. Previous ArticleSPOOKY OUTDOOR DECORATIONS FOR THE HALLOWEEN NIGHT….